There’s a first time for everything—even when you’ve been around for 200 years. 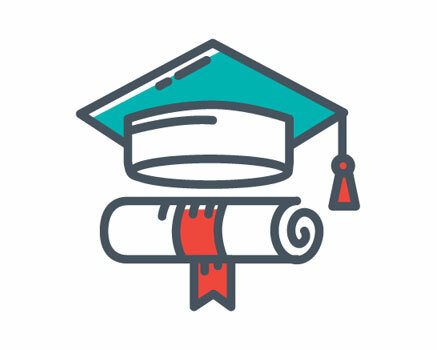 In 2015, the Indiana University Foundation launched “For All: The Indiana University Bicentennial Campaign”—the school’s first-ever comprehensive campaign. 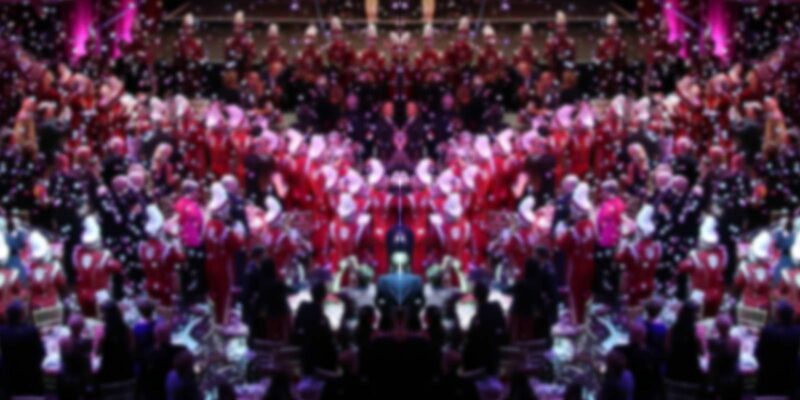 We helped IU plan a launch celebration worthy of the historic occasion. 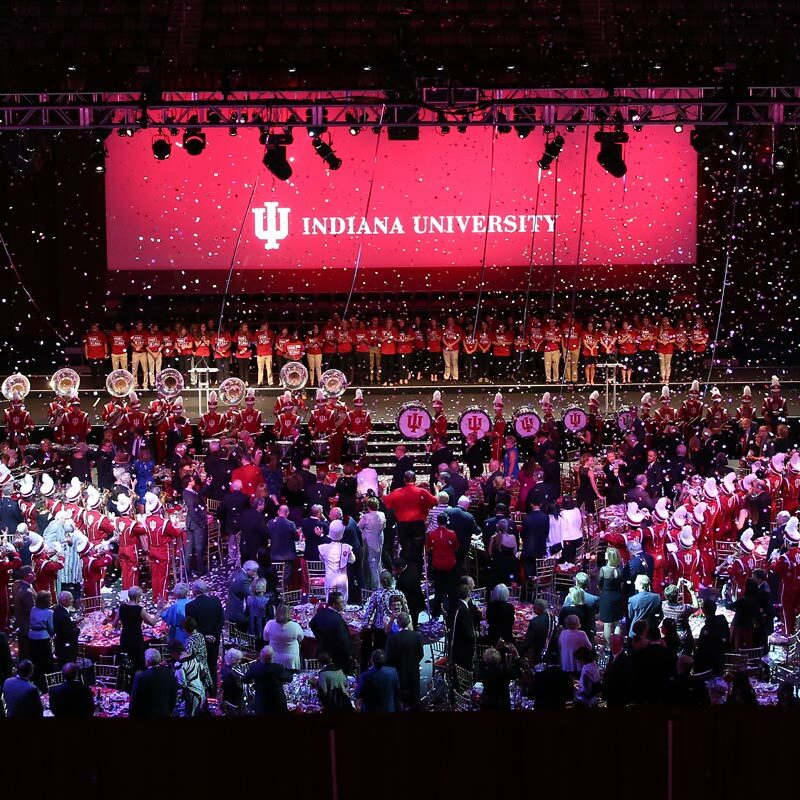 Leveraging the For All campaign’s spirit of inclusiveness, we created an event that showcased IU’s far-reaching impact, past and present, while inviting guests to join with IU going forward. By focusing on the fruits of IU’s labor, we showed how the school’s successes are for—and about—all of us and our world. Casting IU faculty, students and alumni as hosts, speakers and performers made for a warm, intimate atmosphere—even inside the huge Indiana Farmers Coliseum. Including notable alumni and IU thought leaders added importance that matched IU’s bold new initiative. As a finale, a giant screen rose to reveal the famous Indiana University Marching Hundred. Then suddenly, hundreds of cheering Hoosiers in red T-shirts emerged from behind the stage to rally the audience while cannons rained red and white confetti down on the crowd. 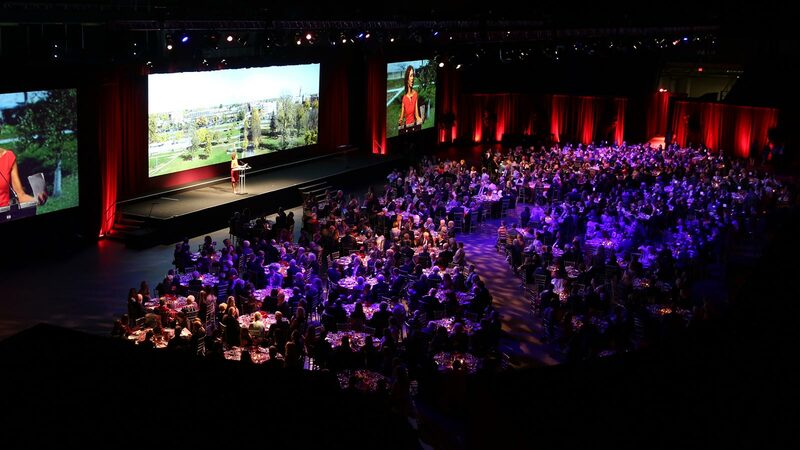 Eight hundred IU alumni, donors and friends gathered for IU’s campaign launch. After an evening of memorable performances, moving presentations and personal stories came the biggest surprise of the night—an unexpected $20 million gift. It was the perfect call to action, inspiring others to join the IU community as it plans its third century of impact.